Oh So Lovely Gorjuss Girl! I`m back today with a card for the Scrapendipity blog featuring the Oh So Lovely collection from Kaisercraft and using the supplies from the Scrapendipity kit as well as a Gorjuss Girl image I had in my stash. I used some of the woodgrain 12x12 paper and cut it to fit a 5x7 card and then layered on my watercoloured image of this sweet Gorjuss Girl. I used a Kaisercraft diecut tag, a sweet butterfly and some paper strips cut from the collection. To watercolour this cutie I used the Julie Nutting hair and skin tone Prima Watercolor Pencils (Oh My Gosh they are amazing to use!!) for her face and hair and then Distress and Tombow Markers to watercolour in the rest. Love the diecuts that are in the Oh So Lovely collection! Thanks so much for joining me today! I hope you have a very crafty and awesome week! 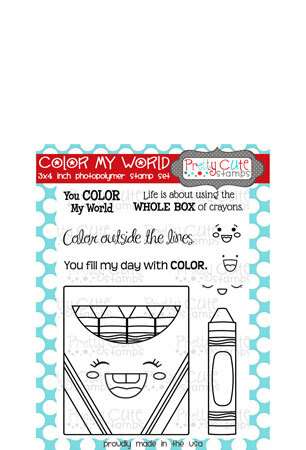 Pretty Cute Stamps July New Release Sneak Peek! It is that exciting time of the month again! 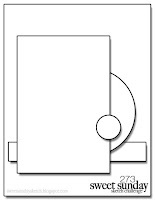 Time for another sneak peek at a new stamp set from Pretty Cute Stamps!! 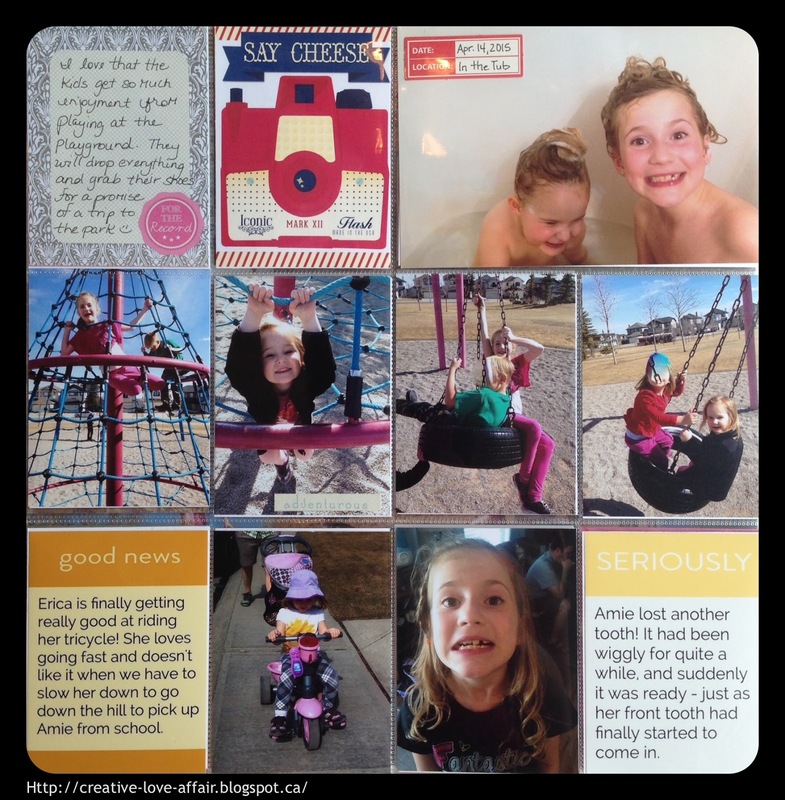 Today I am featuring a look at the new set Pen Pals 2! If you haven't seen Pen Pals from last month you totally need to check it out, but for now see how I've used this amazing new set! I wanted to create some note paper to use when writing to some girls that I swap 'Happy Mail' with on a monthly basis! I started by using some 8.5" x 11" printer paper and stamped my images and sentiments with waterproof black ink. Next, I was able to use my Distress Markers to colour in my images, adding some layers to create depth. I added some Glossy Accents to this adorable little happy face at the bottom and used some Distress Ink to stamp Enjoy! Next, I of course had to create an envelope! I used my Martha Stewart scoring board to create an envelope large enough to add some scrapbooking goodies into before mailing to my friend. I totally love these sentiments! I coloured this sweet girl with Distress Markers as well and layered on an area that I could write in the recipient's address. Here's a look at the back of the envelope with another adorable stamped dog image. I added Glossy Accents to his eyes and both the envelopes on the front and back. Lastly, here's a look at what I'll be sending to my Pen Pal! Hope she likes it!! Thanks so much for joining me today! 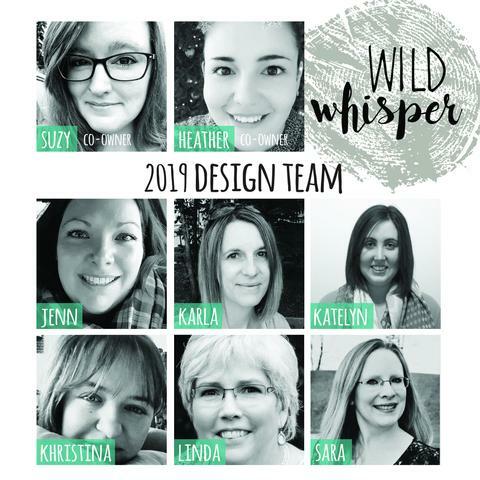 Be sure to head over to the Pretty Cute Stamps blog to check out what all the talented ladies on the Design Team are coming up with this week for their amazing sneak peeks - and be sure to come back on July 2nd for the big blog hop and New Release reveal! Sharing some sweet digi downloads! Happy Tuesday! 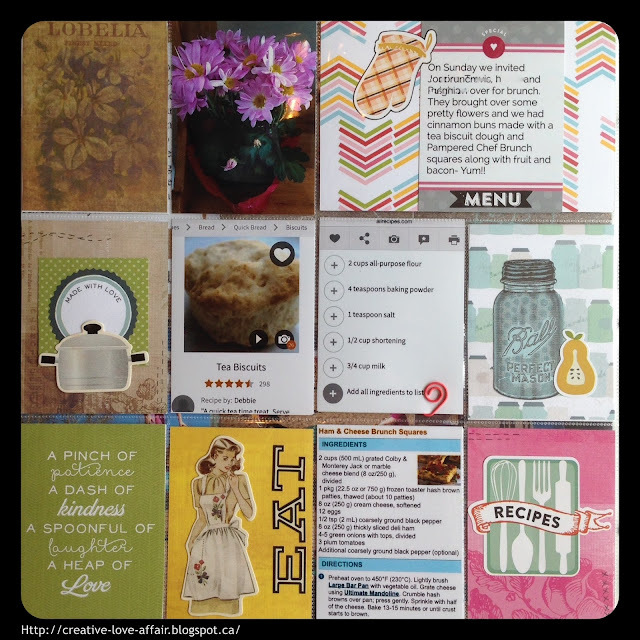 I'm back today to show off some scrappy layouts as well as sharing on the Scrapendipity Way Of Life blog! My husband and I have never got to go out much since we've had kids, so it was a big deal to head out to a concert to see 'swoon' Michael Buble for our 5th Anniversary! I just love his style, his voice, his songs! It was such a lovely night out and I am so happy I dug out these pics to finally get this event scrapbooked! Since I'm posting on the Scrapendipity blog today I thought it would be perfect to their wonderful new kit made up with tons of goodies featuring the Oh So Lovely collection from Kaisercraft! It is so beautiful! I'm loving the kit full of the papers and diecuts as well as cardstock, ribbon, Stickles, Distress Ink and more! 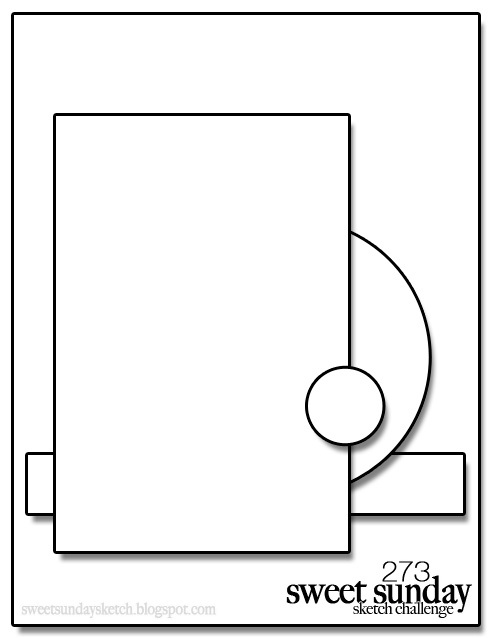 I added two of the 3x4 cards from the kit into my pockets and cut one of my photos so that each half fit into the center pockets. I layered on some diecuts and some Thickers that I had in my stash to complete my journaling card at the bottom. On the second page I used more of the papers and journaling cards along with the oh so lovely ;) diecuts! After filling my pockets I had a couple pics left over and wanted to do a couple traditional pages using this beautiful collection. Except for the Thickers letters and baker's twine, everything was in the kit! I used the June sketch from Canadian Scrapbooker Magazine Sketchy Challenge turned on it's side. For my second page I used the sketch from the Scrapping Everyday Miracles challenge blog. It was so quick to come together using all the elements in the kit and the sketch! Hi there, I hope everyone had a lovely weekend! 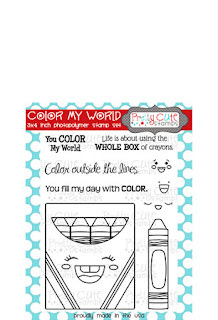 I wanted to share this watercolour background card with you today using the Pretty Cute Stamps set Color My World. I used Distress Stains in the new Mermaid Lagoon and Citrus Twist along with Victorian Velvet Distress Ink on a craft sheet to watercolour a background before layering my stamped images and sentiment on top. I really love this sentiment! After I stamped it I cut banner ends and popped it up in the center with foam dots. I paper pieced the crayon box and crayon with various papers from 6x6 paper pads and then used Distress Markers to create shadows around the edges. How adorable are these faces?!! Inside, I added another sentiment and two more cute crayons! Thanks so much for joining me today! 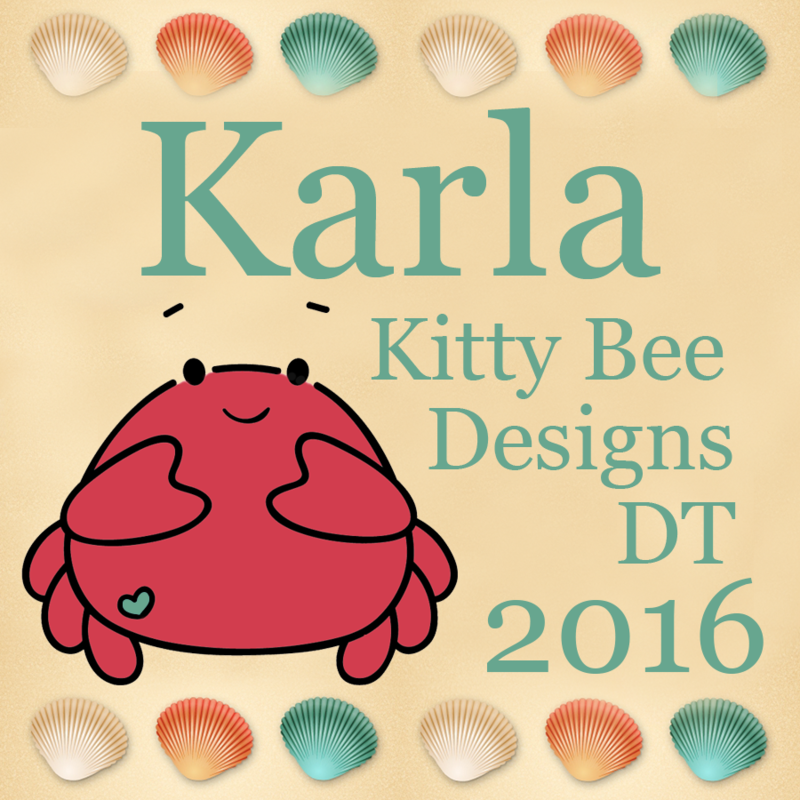 Be sure to check out the Pretty Cute Stamps store and all the sweet sets available. 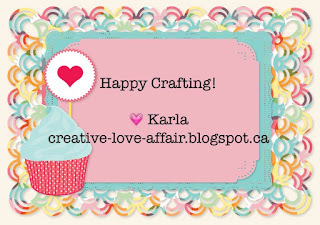 Here's wishing you a fun and crafty week! Also, don't forget to check out our all new Anything Goes challenge this month where you can share what you've been working on using Pretty Cute Stamps! Pretty Cute Stamps Challenge - Anything Goes! Wow! I am so excited to announce the very first Pretty Cute Stamps challenge!! This month's theme is Anything Goes with a Pretty Cute Stamps stamp on it! 1. This month's challenge is Anything Goes. 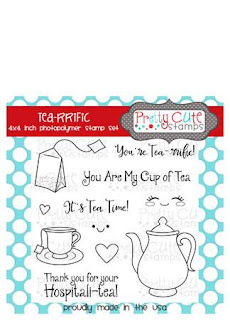 So, create anything using Pretty Cute Stamps. A Pretty Cute Stamp must be used to create the project. 2. Please link to your actual blog post...not to your blog. 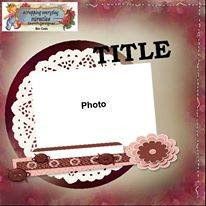 If you don't have a blog, you can add a photo of your project to the current Monthly Challenge photo folder in the Pretty Cute Projects Facebook Group. 4. The challenge will run for 3 weeks. You must link up your project by 11:55 pm CST on Saturday, July 11, 2015. 5. One random winner of a $15 Gift Certificate to the Pretty Cute Stamps store will be chosen. The winner will be announced on Saturday, July 18, 2015. For my project I used Distress Stains to watercolour a background before layering on my Pretty Cute Stamped images from the Tea-rrific stamp set. I used Maggie Holmes paper to paper-piece my images and added some Distress Markers around the edges for some shadowing effects. that little steam stamp coming from the tea cup is actually a scroll stamp from the Matryoshka Mom stamp set! Inside, I stamped the tea bag and layered it over a white insert, adding some Distress Marker to colour the tea in the bag. Thanks so much for joining me today! You can check out what the rest of the Design Team has come up with for the challenge over at the Pretty Cute Stamps blog - and enter your own project that includes a Pretty Cute Stamp image for a chance to win a sweet prize! 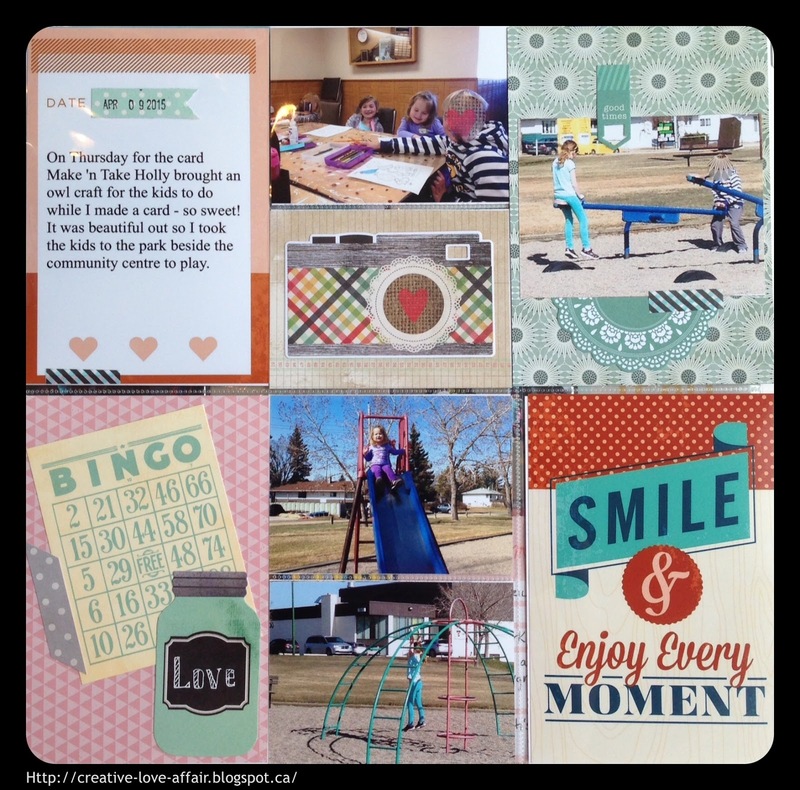 Project Life Week 15 and 16! I'm sharing my PL weeks 15 and 16 today! Week 15, page 2 I used a couple PL cards, some patterned paper and some Simple Stories diecuts. Week 15, page 3 I used an older card I had at home and combined it with some Heidi Swapp and PL cards. I really like this page protector design! 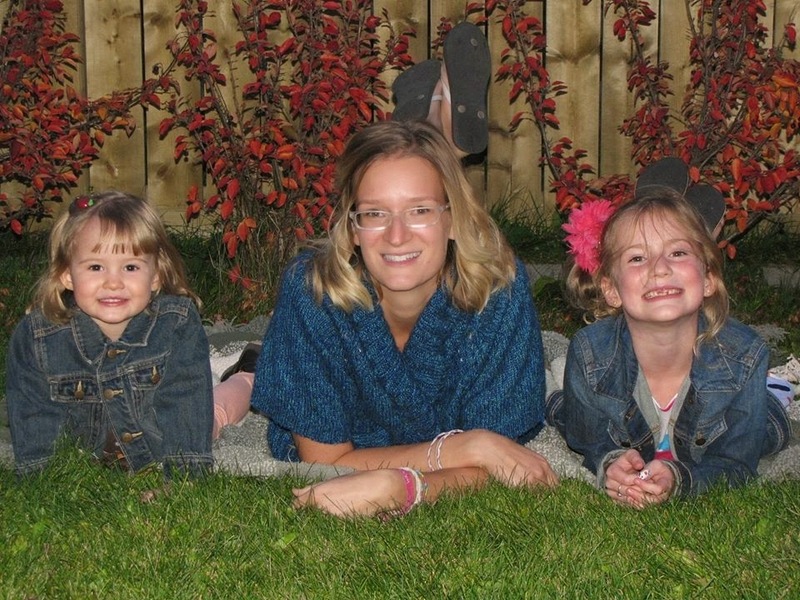 It came in a combo kit and since I print a lot of photos in the 3x4 size it really worked. Week 15, page 4 was quite photo heavy so I only added the one card I printed out from the app after adding my journaling. Love this gold colour! Week 15, page 5 - except for the flowers I didn't have any photos for our brunch, but I wanted to add journaling and the recipes I used, so I decided to make it a full 'food' themed page and had fun with diecuts and papers. Some of the diecuts are from Ruby Rocket and some papers are from the Echo Park Made From Scratch collection. I took a screen shot of the recipes I used and printed them with my photos. Week 16, page 1 -I used lots of Pretty Cute Stamps on this page (Forest Friends and Pen Pals). I recently watched a video from May Flaum and she said she treats stamped images as she would stickers. Such a simple thing really, but I guess I hadn't thought of it being that easy! One of my favourite techniques right now is paper piecing stamped images!! I just love the look of the papers when you add them to your image. I coloured and paper pieced some cute images (ok, Pretty Cute Stamps are all cute!!) 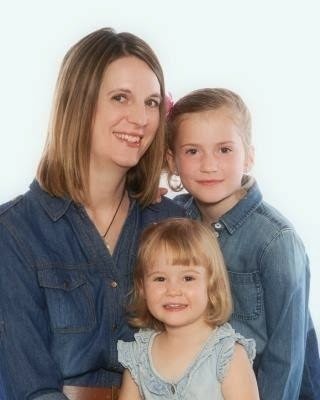 and added them to my page - easy peasy! Week 16, page 2 lots of pics and journaling! Week 16, page 3 I used lots of cards from the Later Sk8r Picture My Life collection from CTMH! These are one of my favourite products right now!! Love the bright colours in this collection :) I cut some of the larger cards in half to fit in the smaller pockets and added some stickers, diecuts and washi tape! Week 16, page 4 I used more of the Later Sk8r (Later Skater!) cards, washi tape and diecuts along with some more coloured images from Pretty Cute Stamps- Snack Time and Salt and Pepper. I just love how this page turned out! Thanks so much for joining me today! I hope you are inspired to get out your photos, look through them, and jot down a few fun memories! 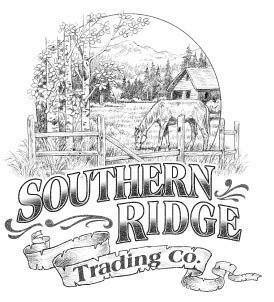 Don't forget to check out the current challenge at Bimini Moose for lots of great scrapbooking inspiration! Watercolour Treats Blueprints Card Set! I'm back today with a post for the Scrapendipity blog featuring the Tim Holtz Treats Blueprint stamps! I'm totally in love with these stamps! I used Distress and Tombow Markers to colour my images after I stamped on watercolour paper. To achieve the watercolour look I used a waterbrush to lightly go over the areas I coloured in. Since there are four of these stamps in a set I decided to coordinate them into a set of matching cards. I love how summery and fun they turned out! Here's a close up look at each one. I added some baker's twine, sequins, glossy accents and Stickles for some extra fun! Thanks so much for joining me today! 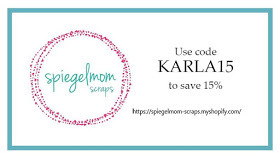 Don't forget to check out the Scrapendipity Store for lots of great Canadian scrapbook shopping!I hope you are enjoying some summery weather wherever you live, and maybe even a yummy treat or two! Project Life - Easter Pages! Click HERE for the current FCCB Challenge! Click HERE for the current Bimini Moose Challenge! 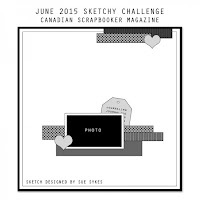 Click HERE for the current ScrapbookerPhD Challenge! I had already finished my weekly layout for Week 14 except for my Easter pics. I had a lot of full 4x6 pics because I took most on my DSLR instead of my phone, and I decided to add them into my album with their own title, at the end of the week. I used a combination of PL cards, an American Crafts Dear Lizzy paper pack, along with some stickers and even a stamped image I had coloured for Easter, but didn't get to use on a card! I think just by using specific colours you can get the feel for a certain holiday without using a lot of themed paper or ephemera. I used lots of pastel colours and added in a few Easter items that I already had. I collaged the picture of my daughter looking at an Easter gift since it was vertical and didn't fit into the horizontal pocket. I had a sticker pack of chipboard flowers in my stash and used it throughout the Easter layout pages. I recently picked up some Smash book supplies - where a pen was included - and I quickly realized how awesome this black pen is! It writes beautifully on cardstock and photos - drying instantly! I added a couple layers of the paper cut into a washi tape look and even made a fake Polaroid where I cut a rectangle of patterned paper and put a square photo on top! I used one of the Happy Easter stamps from Pretty Cute Stamps. Since I only needed a small part of a journaling card for each vertical photo, I simply cut one in half and used each end. Every time I look at this ham dinner I get hungry, lol! Thanks so much for stopping by today! I hope you've had a lovely week and get to enjoy some crafty fun this weekend! Don't forget to check out our current challenge at the Bimini Moose blog! Mixed Media Wall Hanging Tutorial! FCCB #253 - Celebrate Dad! 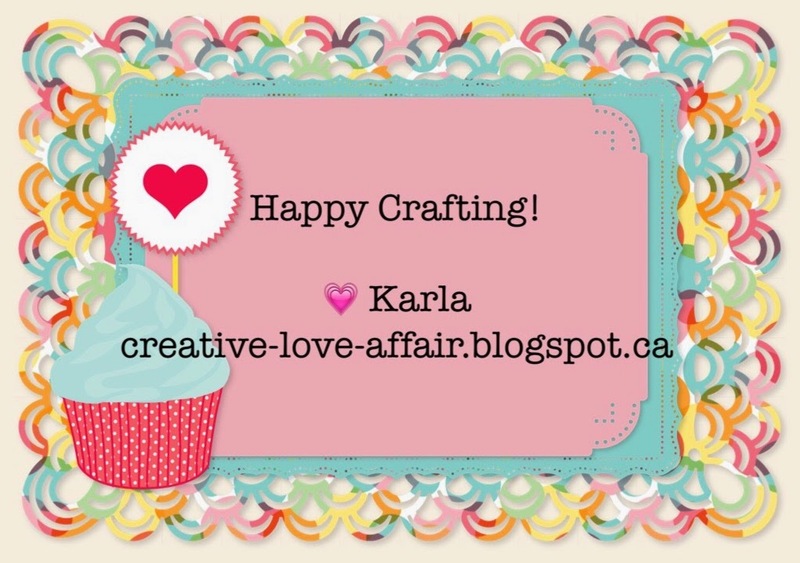 Winner - FCCB Blog Hop! ScrapbookerPhD Challenge #24 - Summer Fun! FCCB Favorite Character Blog Hop!